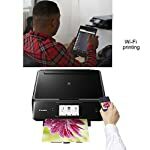 The Canon PIXMA TS8020 Wireless Inkjet All-in-One Printer is the small printer that’s huge on features and big on style. 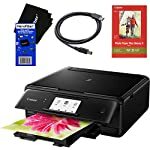 This exceptional everyday printer has an innovative, space-saving design that allows it to be placed almost anywhere in your home, helping to make it one of the most versatile home printers you can buy. 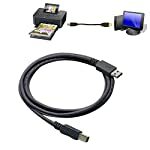 You’ll connect immediately with the PIXMA TS8020 printer because it’s so easy to connect to. 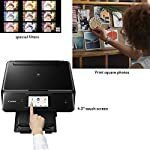 Print beautiful photos, documents, color labels, and envelopes, from any of your devices over your choice of Wi-Fi, AirPrint, Google Cloud Print, NFC, USB, through the built-in SD Card reader or even the Cloud. 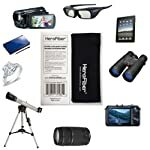 And like most Canon printers, it’s iPhone/iPad compatible and makes an ideal smartphone photo printer. The easy-to-see 4.3″ touch screen and intuitive user interface, document removal reminder and auto expandable output tray make it a snap to use. 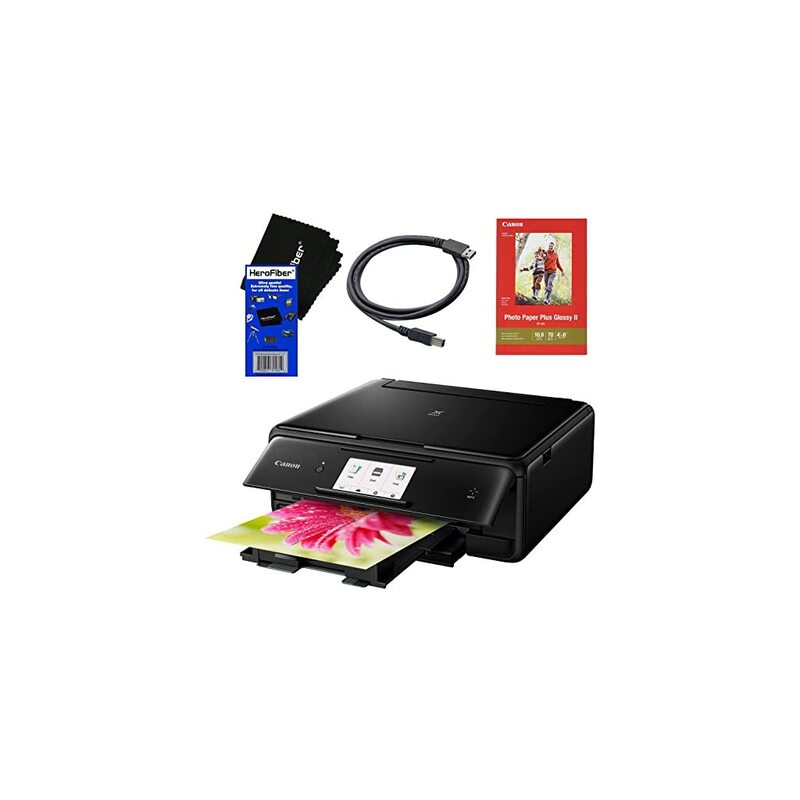 Plus you can expect superb document and photo quality from its six-color ink system which includes a dedicated gray ink tank. There’s also front-and-rear paper feeding options that support fine art paper, so you can always be assured of fine image quality. 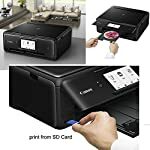 Want great connectivity, superb output, and decorator style all rolled into one Canon inkjet printer? 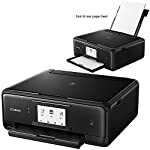 Then there’s only one choice for you: The Canon PIXMA TS8020 Wireless Inkjet All-In-One Printer.